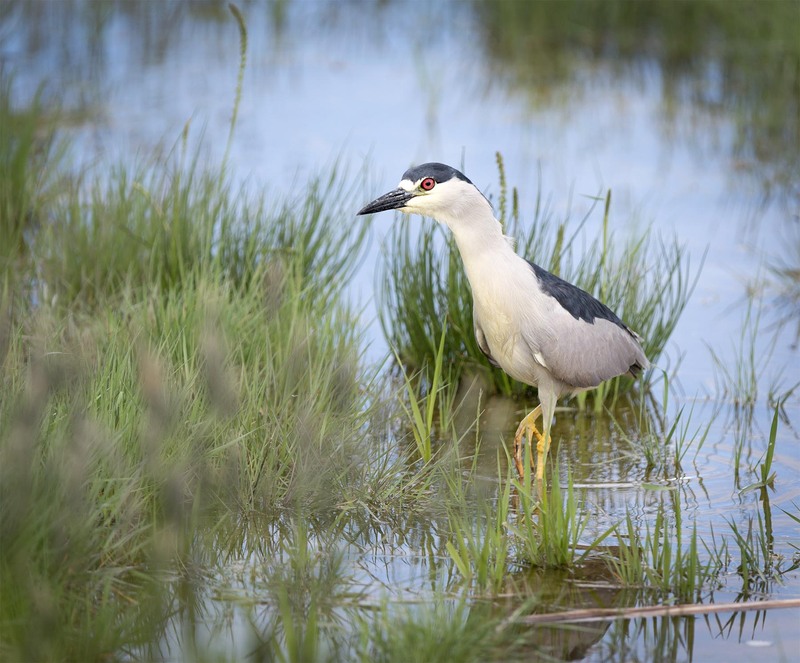 Ever so patient a Black Crowned Night Heron works the waters on a summer afternoon. Arapahoe National Wildlife Refuge, CO. It was a real pleasure to see this bird hunting. Gosh you’re a great photographer! We just have nice birds to photograph. They do all the work. Hi Jim, IHave never been there. It sounds like a place I will need to check out. We may be in the Lander area latter this summer. Your video shows the water reemerging. Is it just flowing out of the rocks like a natural spring? Yes it is very vigorously. Right now the river is flowing fast. Not all of it can sink into the cavern. Some overflow continues down to the rise area. When the melt and rains dry up, the flow will slow and have no overflow on the surface. Better get in gear and find a reason to vista the wind rivers for a backpack. Oh, that red eye! The classic pose and clarity really makes this shot perfect. Thanks Eliza, they are fine looking birds and such patient hunters. Thanks, these are wonderful birds and alway stun to watching hunting in the ponds.